our grocery/household shopping. Before we would use what was leftover after paying the bills. This left us with less than $50 some weeks and over $50 other weeks. By setting a set amount each week, it has helped us be able to figure out what we can and cannot afford. As usual, we went down to Walmart and bought the items on our list. I love when we have small lists that the items are not too expensive! The total spent at Walmart was $11.52. We then headed off to Wegmans to finalize the shopping. The list was rather small for Wegmans. Unlike Walmart, the list was small, but the prices were not as cheap. The total spent was $19.29. Not too much more than at Walmart. The grand total spent was $30.81! That makes us under budget by $19.19. That's great for our first grocery trip of the year. 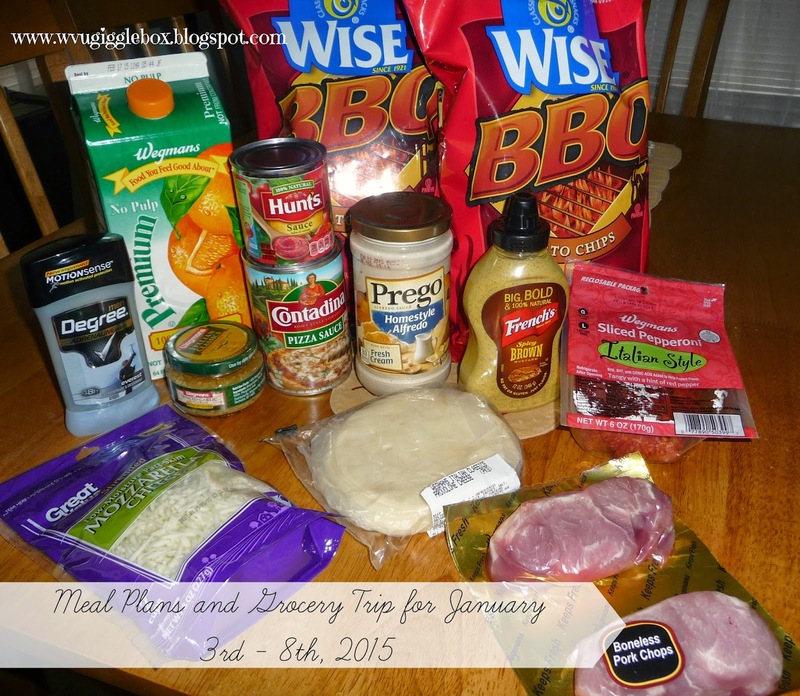 How did you do for your first full week of the new year weekly grocery budget?